Almost two years out of the ring. Less than one minute to obliterate the upstart who insulted him and his wife. 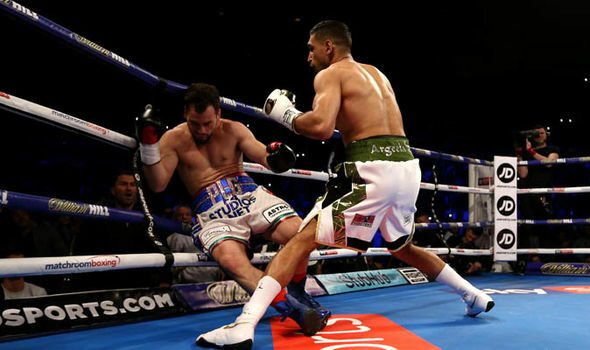 Amir Khan's comeback from the celebrity jungle and the boxing wilderness could not have been more sensational had he rocketed into Liverpool from the moon. All the doubts and forebodings were swept away by an unstoppable surge of dynamic energy and explosive power. Canada's Phil Lo Greco was pounded into olivion in less time than it takes to soft-boil an egg. The Echo Arena reverberated to adulation of an order unsurpassed even when Khan won his Olympic silver medal and two world titles. The cheers bounced off the ratifiers as mightily as the punches which flattened the first hurdle on Khan's road back to more glory nights, on this form more world titles - ad perhaps at last Kell Brook along the way.